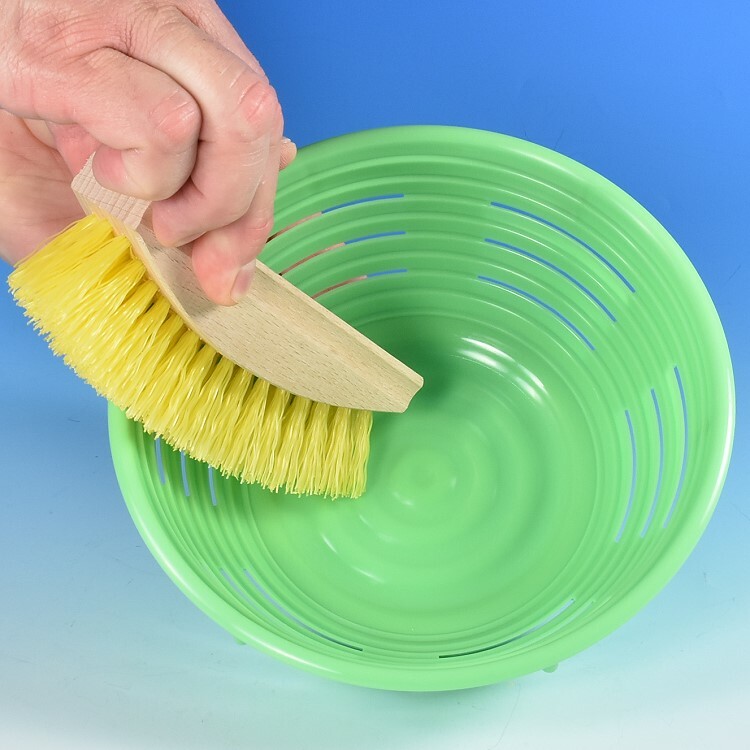 Cleaning Brush with curved bristles for scrubbing and cleaning bread proofing baskets. 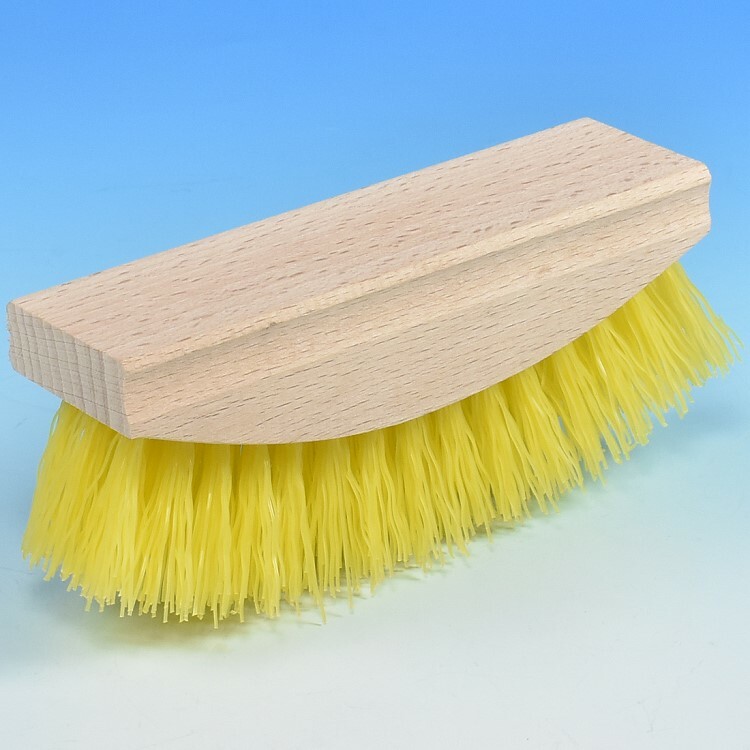 Wooden handle with plastic bristles. Length 5 1/4", width 1 1/2", height 2 1/2"